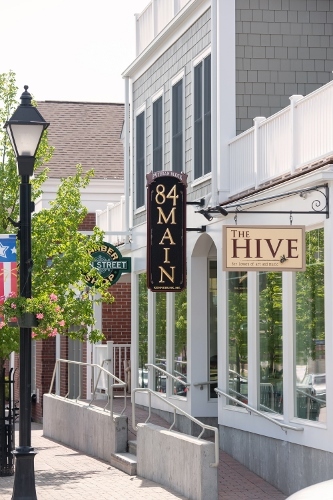 84 Main, an eco-friendly resort, is located in the picturesque town of Kennebunk, Maine. 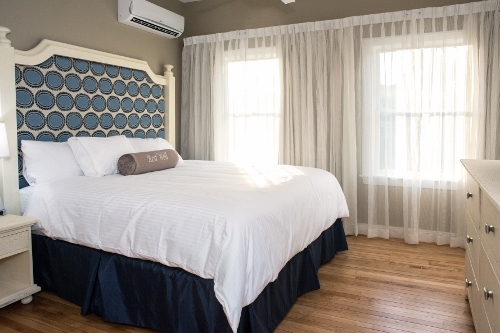 With the resort located just minutes from the famous beaches of Maine and hundreds of years of American history at your fingertips, a stay at 84 Main will create memories that will last a lifetime. 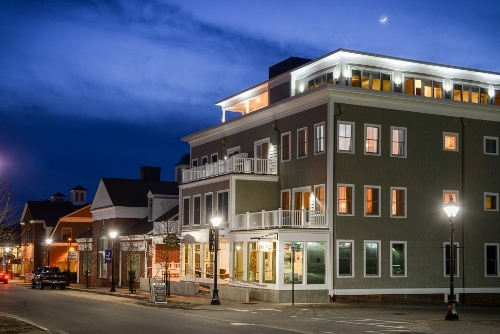 Here, you can take in the crisp, cool air blowing from the Atlantic Ocean as you stroll through downtown Kennebunk, exploring the famous “Museum in the Streets” or one of the many enchanting shops. You can even rent a bicycle and enjoy a leisurely ride down a beach-bound trail that leads you to the scenic shoreline. After an exciting day of site-seeing, you can return to 84 Main to relax in a suite full of modern luxuries. 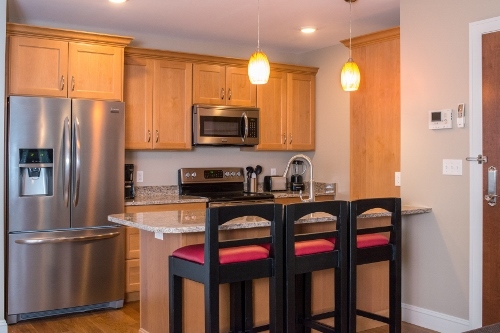 The spacious one and two bedroom suites feature separate living areas, beautiful hardwood floors and state-of-the-art kitchens, in addition to private balconies overlooking charming Main Street. 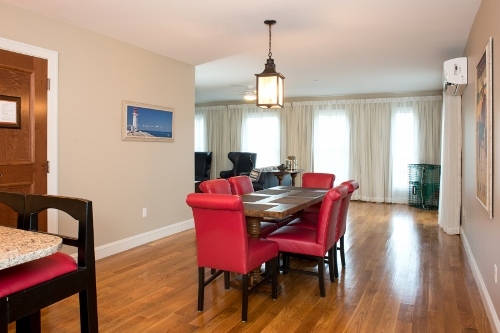 A suite at 84 Main offers all the comforts of home in a truly endearing location.